Having settled into our very comfortable room at Hiroshima Aioi, a lovely traditional ryokan right by the Hiroshima Peace Park, complete with a sobering but incredible view straight out onto the Atomic Bomb Dome, we took advantage of our location and headed straight out to the Hiroshima Peace Park and Hiroshima Peace Memorial Museum. First we walked past and around the Atomic Bomb Dome. Built by Czech architect Jan Letzel the building was once famous for its European style and green dome which stood out from the rest of the industrial city. 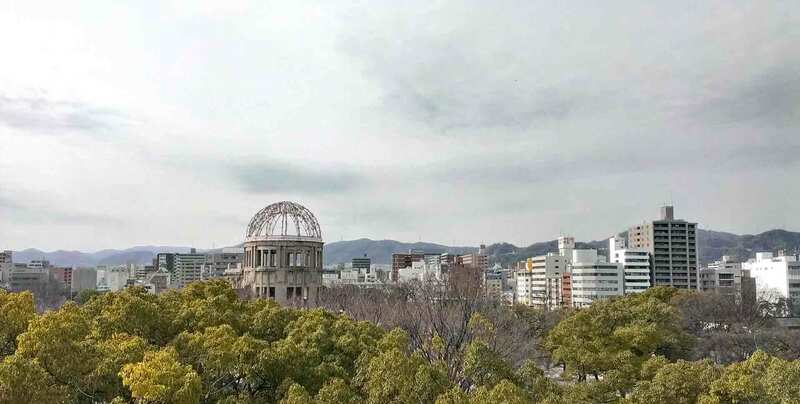 It has since become a symbol of the fight against nuclear arms and was controversially awarded UNESCO status in 1996. My understanding is that the building’s structure survived because the bomb exploded almost directly over it. It is such a haunting yet beautiful sight. 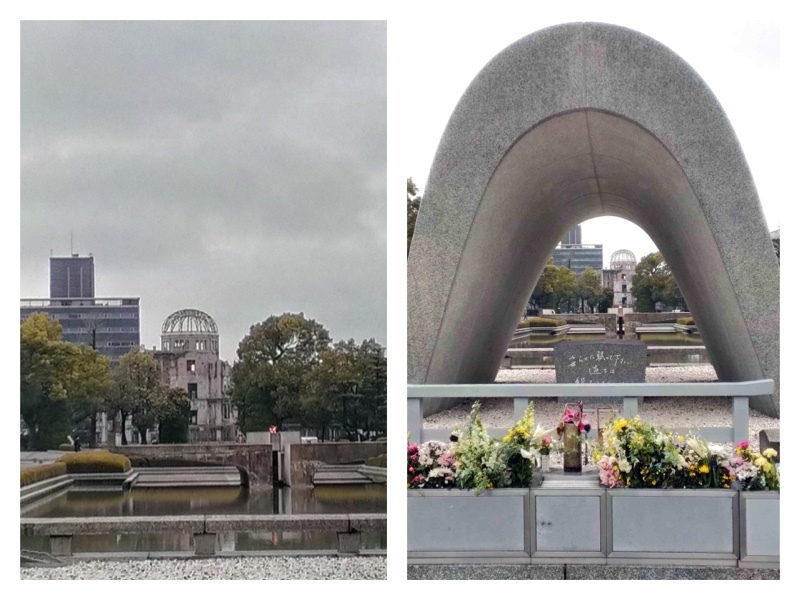 We continued our wander through the Peace Park, which ate 112,100 square metres covers the entire area of the previously urban district of Nakajima, on which the atomic bomb fell and (aside from a few structures like the Atomic Bomb Dome) completely wiped out. The park has loads of different monuments and features but particularly poignant for me were the Children’s Peace Monument (covered in origami cranes), Flame of Peace (which is meant to stay alight until the last nuclear weapon on earth has been destroyed) and the Cenotaph for the A-bomb victims which is meant to contain the name of every person which died from the bombing – whatever their nationality (the latter two are shown in the pictures above). 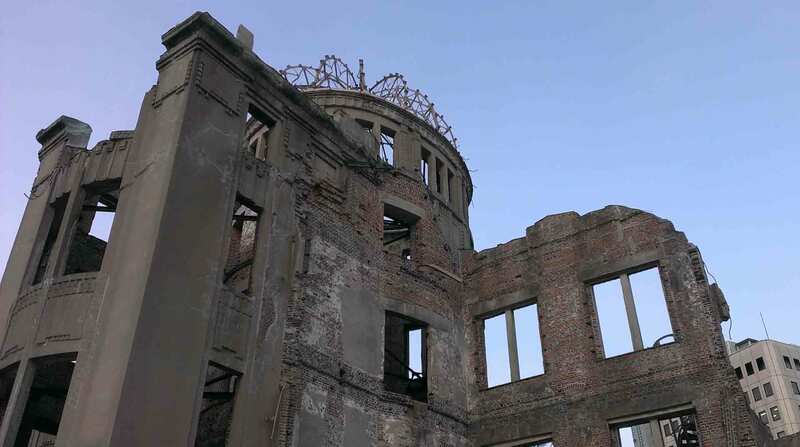 The huge Hiroshima Peace Memorial Museum really brings home the extent of what happened (it is estimated that 70,000 people died in the explosion and its immediate aftermath) and the devastating and long-lasting effects of nuclear warfare. The displays include some pretty harrowing artefacts (such as a melted tricycle) and some shocking evidence of the after effects of the bomb. There is also an area dedicated to the abolition of nuclear arms – I found the wall showing the number of nuclear tests and explosions that have taken place since the bomb was dropped particularly shocking. While harrowing at times, the message that was put across was really moving – one of education, repair and change rather than blame. I’d set aside almost an entire half day for the museum as not only is it huge but if you’re anything like me you will need a little time afterwards to process it all. If, after a heavy and emotional afternoon, you’re ready for some sustenance and looking for a local specialty then Hassei is the place for you. 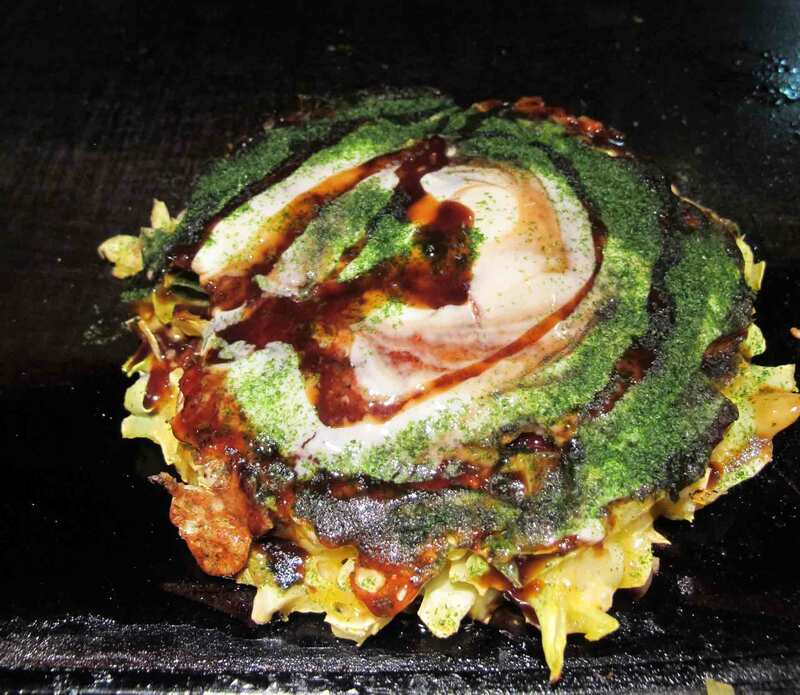 The restaurant serves up delicious and filling okonomiyaki (a kind of Japanese savoury pancake – which I’ve talked about before in my Osaka post here). Hiroshima okonmiyaki is different to that in Osaka as the ingredients are layered rather than pre-mixed (n.b. I may or may not have borrowed a picture from my Osaka post so you get the idea though). Hassei has a vibrant and buzzing atmosphere, and while they speak English there won’t be too many other Western faces; it is a great place to wind down from what I found to be a pretty intense day. Hassei can be found at 4-17 Fujimi-chō, Naka-ku. After supper we headed back to our ryokan and relaxed in the natural hot spring baths before bedding down on our futons. Being a ryokan we were served a very substantial traditional breakfast in our room the next morning. Feeling very full we headed out for a full day’s sightseeing to try and burn it off! 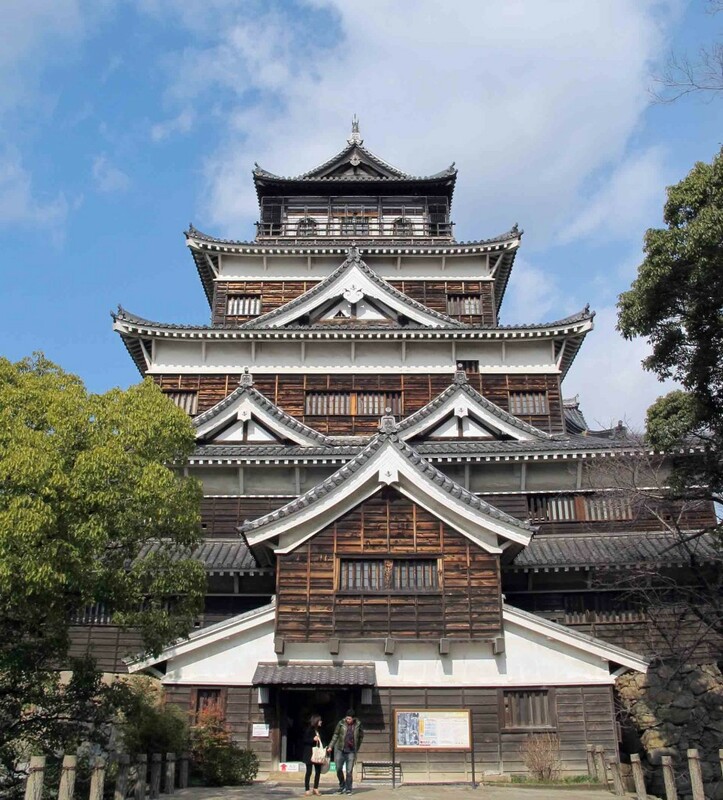 Originally built in the 1590s the castle, the style of which is typical of a castle situated on the flat plains (hence the concentric moats), was destroyed by the atomic bomb but rebuilt in 1958. 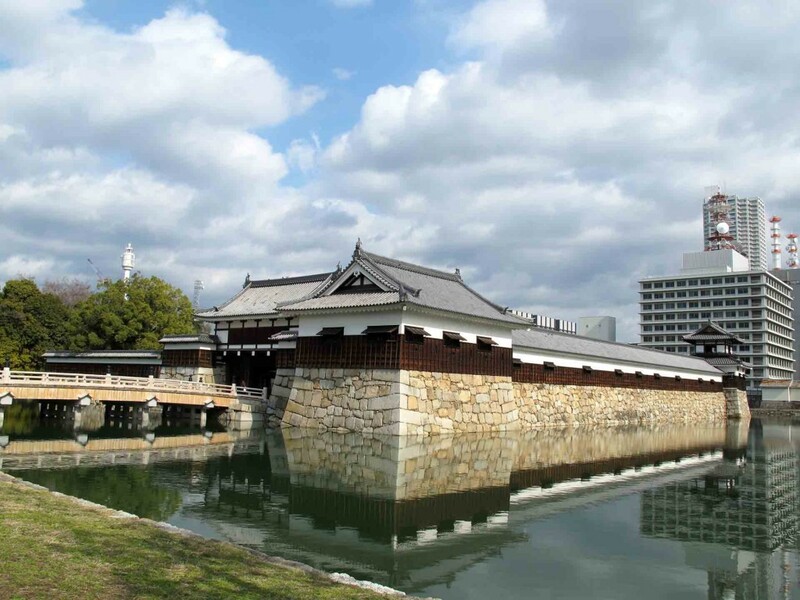 The beautiful structure, which was originally made entirely of wood, houses a museum about Hiroshima’s pre-war history including some great samurai costumes and an observation platform on the fifth floor with a fantastic view of the city. Next we headed to the Hiroshima Museum of Art a small but perfectly formed museum with a surprising array of paintings from Monet, Manet, Renoir, Degas, Van Gogh, Munch, Picasso…the list goes on. The paintings on show were some of the lesser known by such famous artists it really felt like discovering something totally new. If you’re a fan of the romantics and impressionists I would really recommend it. Within the museum there is also a gallery of modern Japanese artists which I really enjoyed. The museum is in the Central Park (3-2 Motomachi, Naka-ku, Hiroshima City). And if you sneak into Restaurant Chambord on the other side of the floor, Hiroshima Castle (particularly fascinating having just seen it from a very different perspective). 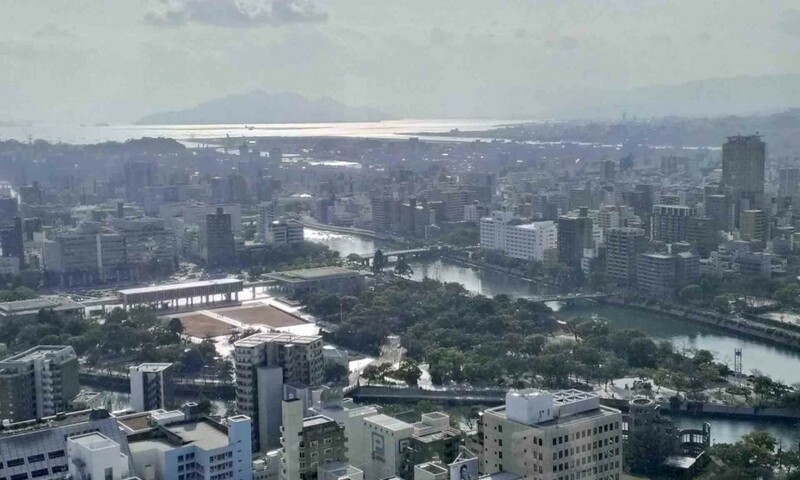 I didn’t read about the Sky Lounge in my guide book but it really deserves a visit – the tea itself wasn’t anything to write home about but the view was phenomenal. 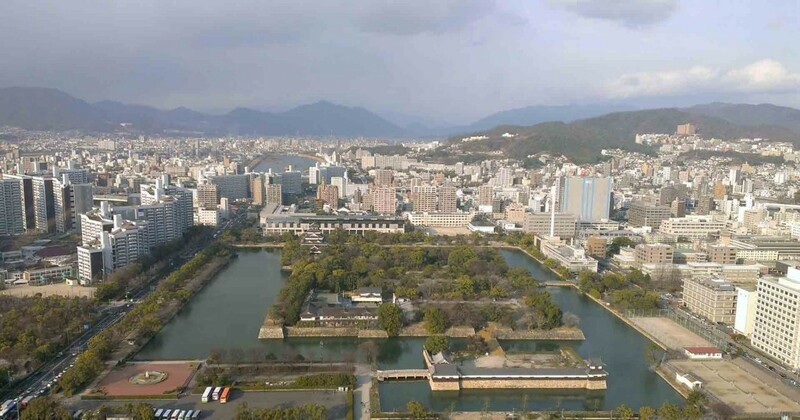 The Rhiga Royal Hotel can be found at 〒730-0011 Hiroshima-ken, Hiroshima-shi, 中区基町６−７8. I think Hiroshima is one of my favourite places in Japan so far. 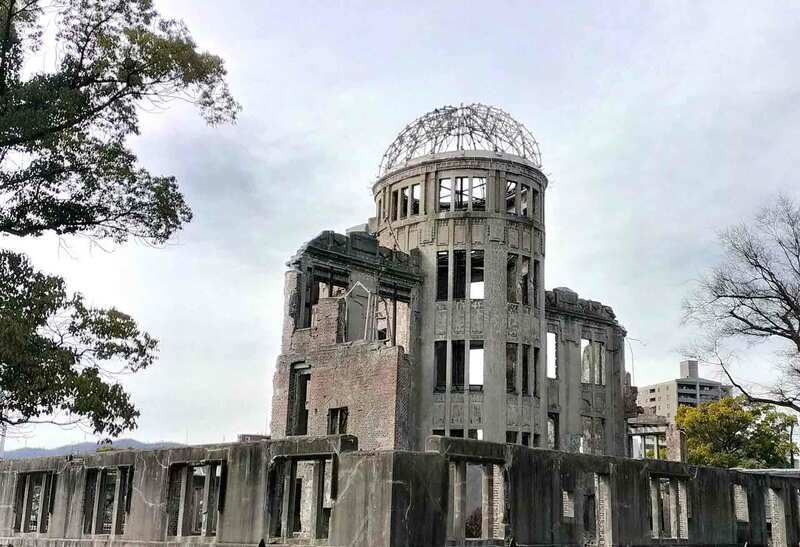 While understandably everyone’s first thought is the Atomic Bomb Dome and the Peace Memorial Museum which should rightly form a large part of any time spent visiting the city, as you can hopefully see from the above there is a lot more to see and do in Hiroshima which is as neon-filled and fast-paced as many of the other cities in Japan. What’s more, if you’re in the vicinity, you are close to the stunning Miyajima Island (more on which tomorrow). This entry was posted in explore and tagged art, art gallery, Castle, Hiroshima, Japan, pea, sightseeing, Throwback Thursday, unesco, view, views. Bookmark the permalink.